On a windy night of February 25, 2016 tons of young Toronto professionals came out to an amazing event at the popular Maison Mercer hosted by Air Canada. With cool giveaways including 3 flights to the U.S., tickets for drinks from a selection of vendors and a silent auction with proceeds going to the Children’s Aid Foundation. The place was busy with excited people dancing up a storm and trying out some premium drinks from many vendors. LoveLee brand ambassadors were also there and this time we brought the notorious Hpnotiq out. Our bar top was glowing white with a very noticeable Hpnotiq logo thanks to our friends at DETONATE GROUP.. All our Hpnotiq items were glowing blue making us a very attractive and inviting spot. We served it up with some Perrier and blueberries, yummy. The ladies seemed to really enjoy this drink as well as the men. But the ladies really seemed to enjoy receiving our tasty blue lip glosses exclaiming it as the best giveaway at the event. We’re bringing blue back! Check out http://www.hpnotiq.com/ for some great recipe ideas and to learn more about the exciting Hpnotiq. Please drink responsibly. Come see us at our next exciting event. The Artist Project celebrates its 9th year with another exciting show! From February 18 to 21, 2016, the opening night party was held at the Better Living Centre inside the Exhibition Place in downtown Toronto. From collectors and curators, to gallerists and designers – there are many great works to be discovered from over 250 top contemporary artists from Canada and around the world. What’s great about this event is that a portion of the ticket sales were donated to the Alzheimer Society of Toronto. Making it a great reason to come out to both support your local Toronto artists and contribute to a great cause. There were over 2000 people that attended and got to eat good food and try some tasty drinks that helped compliment the spectacular art. 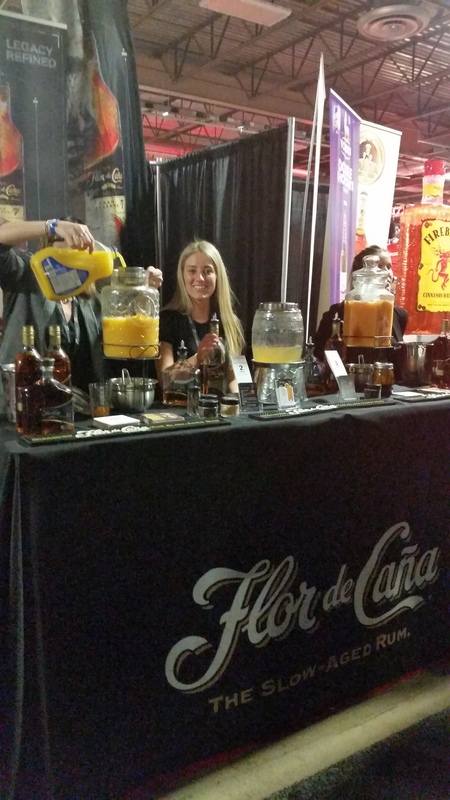 At this event, we switched it up and served up some great Old Fashion’s using the smooth tasting Buffalo Trace Bourbon Whiskey as well as other great recipes. I will post one of the popular classic cocktail recipe here for you to try at home. Please drink responsibly. Check out http://www.theartistproject.com for more information. Fireball takes a Dip to start off the new year! The Polar Bear Dip, established in 2005 is in support of Habitat for Humanity Greater Toronto Area that is a non-profit housing organization that seeks to break the cycle of poverty. They raise money to allow for affordable housing and help communities in need. What fun it was to watch people brave the cold and run into the cold waters of Toronto. Since this started, The Polar Bear Club has raised nearly 300,000 funds that have gone directly to build projects in the community. We were thrilled to be a part of a great cause and help keep people warm. Happy New Year from everyone here at the LoveLee team! Follow us on Instagram and Twitter for more updates on the fun events we get to be a part of. RumChata for the Holidays? Yes Please! 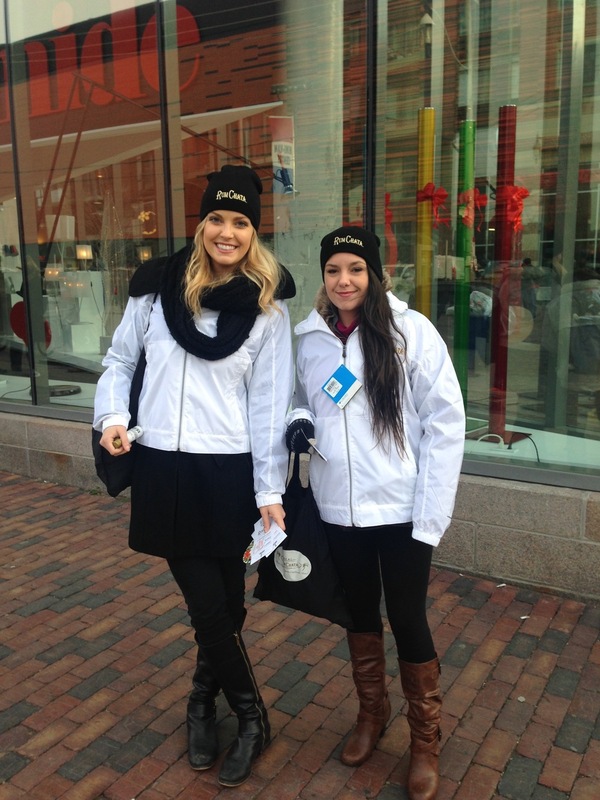 This holiday season LoveLee launched the RumChata Street Teams! 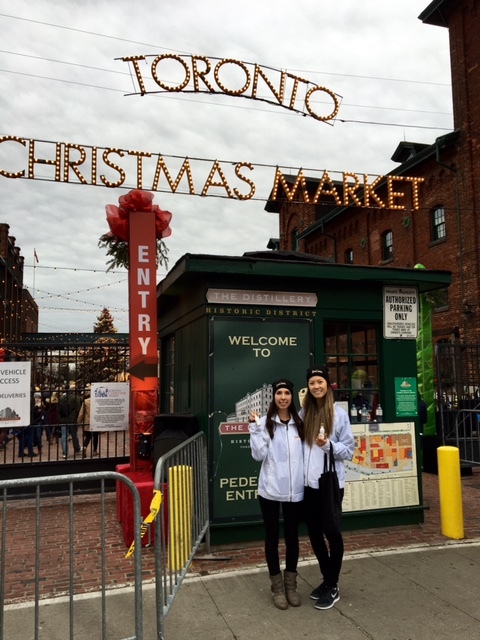 Our brand ambassadors gave away mini RumChata bottles (ID required) in the GTA area. El Catrin Destileria in the distillery district also sells yummy RumChata cocktails for you to try. Did you get yours? Now what exactly is RumChata you may ask? Let me tell you. It is a Wisconsin made liquor consisting of premium Caribbean Rum mixed with the delicious cream based Horchata (Historically made in Egypt and later Spain with Tigernut, but here in North America it is made with rice). Also made with Real Dairy Cream from Wisconsin and special unique flavours from 6 different countries and as far as Madagascar. Main noticeable flavours include cinnamon and vanilla. This drink is so rich, smooth and flavourful, it actually tastes like a Cinnamon Bun. I kid you not! Rum Chata is actually perfect for the holiday, put it in anything and it tastes like Christmas! You can put it in coffee, berry smoothies (I tried it and it tasted great! ), just drink it with ice, or try some great recipe ideas that I will recommend here. I also recommend cooking with it. Mmmmm. Check out www.rumchata.com for more recipe ideas and to learn more about RumChata. Don’t forget to pick up a bottle of this must-try drink. You won’t be disappointed. Please drink responsibly!